Everyone knows that the web is “where it is” for any business. The Internet increases’ business, gets you more sales and produces more money. Actually, there are many organizations that function solely over the Internet. 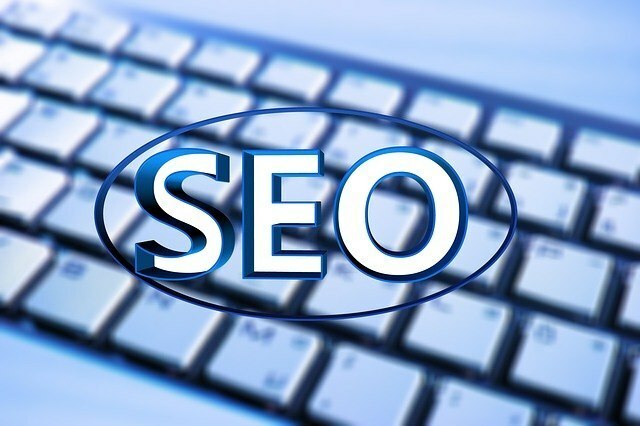 To be successful though – you need to make your website design SEO friendly. This makes it easier for the web spiders to crawl your website and categorize it correctly, so searchers can find your services or products easily. However, also, so that traffic will stay on your website for longer periods of time, once they do arrive. Search engine optimization is a series of processes, some more complicated than others, requiring SEO professional services. Even so, there are three basic upgrades you can make to your own website to make it search engine friendly. Often, depending on your niche, these are enough to make your website visible and interesting to searchers. The world of web design and SEO is merging, and there are design-specific elements that offer a positive response from visitors to your website. Successful designers find that by using colors, buttons and design elements that convey a sense of the organization’s products and services, they can trigger a viewer’s emotions in a tangible way, making him want to remain on the website or buy the product or service offered. Branding is also essential to your web design efforts. On every web page or piece of content, you want to make sure your branding is obvious and clear. This makes it easier for people to identify you in future marketing campaigns, whether you are using social media websites like Facebook, creating a newsletter or writing a blog. Backlinks are links you use in the content of your web pages. It’s easy to feel confused by this process. After all, what websites do you link to? Most webmasters simply link to other web pages on their website. This is not necessarily a bad thing. When you link to other pages on your website, other than your home page, this is called deep linking; a process that can increase your ranking on the search engines. A good example of deep linking may be when you link to a different blog post from the current one. However, there are just so many times you can link to your own information â€“ you don’t want to over link to your personal webpages, or use links where they don’t make sense. In these cases, it may be best to link to external websites. Most website owners assume that linking to outside sources only sends visitors to an external website and away from their own. Still, it is in your best interest to send visitors to other websites at times. You must remember that the Internet is an informational resource, so when you offer more information on your website, your site becomes a valuable resource â€“ one that readers refer to time and time again. Of course, you want these external links to be from websites that relate to your industry, but, which aren’t in direct competition with your business. For instance, if your website is a tutoring service, you might link to a website with educational games, flashcards, additional tests and exercises. You’ve seen the typical call to action. This is the phrase located at the bottom of a post or piece of content that says something like “If you’re interested in more information click here” This is “old school” and somewhat out of date. A better call-to-action is the scroll-triggered call-to-action. This is a feature that doesn’t overwhelm readers, and simply offers the reader more information at the end of a post. This feature gives readers your call-to-action only when they scroll over a certain paragraph or phrase. This feature helps boost page views, allows readers to easily chare it with others and creates more awareness of both current and past publicized works, giving you higher click through rates. Websites like the New York Times use this type of call-to-action to drive readers to read the next article that relates to the post. However, other websites use it to sell products or to ask readers to share the information on social media platforms. Search engine optimization is just as much about keeping traffic on your websites, as it is in making a website searchable. This merges excellent content and aesthetically pleasing design elements together. Well-designed elements have a positive impact on content, and vice versa, valid content benefits the design. You can’t have one without the other. Your website needs to have visually attractive elements, be easy to navigate, offer useful information, and link to both internal and external sources. Rahish is Tech blogger. He contributes to the Blogging, Gadgets, Social Media and Tech News section on TechOTrack. Hi… Your post is fantastic and resonated with me. I would like to say thanks to you for sharing such information. Hello my friend, You have done really a good job to write this blog here for us. It’s really helpful and informative. Thank you for sharing your thoughts with us. How to Build Brand Interest Through Social Media?